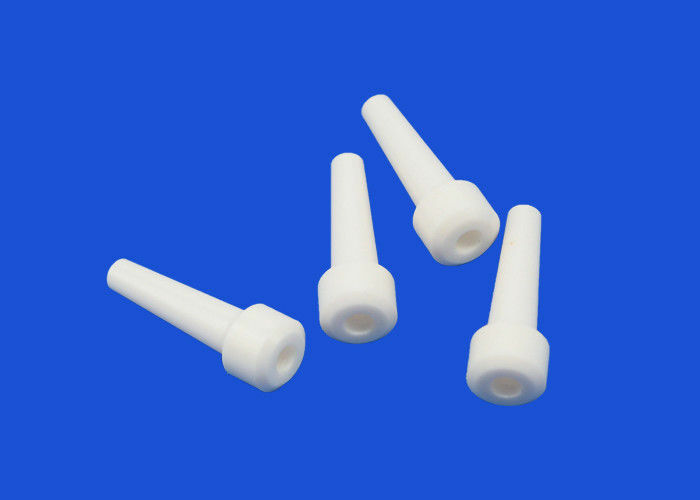 Ceramic pin can generally divided into the following:welding pin, guide pin,positioning pin,optical fiber connector ferrule and ceramic pin gauge,the common used material is zirconia ceramic,silicon notride ceramic and silicon carbide. Us uses several lines of ceramic materials, to meet the needs of different applications, from resistance and MIG/TIG welding tooling to general metalforming and handling. The common forming method of insert core is Ceramic Injection Molding (CIM). Optical fiber connector is an indispensable passive device in optical fiber communication system. The ceramic pin is a high precision product with a tolerance requirement of +/- 0.001 to mm.